The method of manual spinal manipulation known as chiropractic is gaining popularity nowadays, but also raising controversy. Some people point out its diverse health benefits, while others keep stressing its risks. As in any medical treatment, there are certain risks which occur under special conditions. They need to be clearly and transparently presented, taken into consideration, yet by no means should they be exaggerated. In comparison to the number and degree of benefits chiropractic has been proven tohave on various aspects of human health, those risks really shouldn’t be the reason for completely ruling this treatment out. It is certainly less harmful and invasive than medications or surgical procedures, and its risks are certainly no bigger. But let us focus on the positive aspects. Here is the list of the top scientifically proven health benefits of chiropractic. This is the best known and most widely spread reason for visiting a chiropractor. Of course, since chiropractic is based on spinal manipulation, most common types of pain addressed are chronic back and neck pain. However, we’ll see later that the positive effect of this treatment reaches much further. In a few studiesresearchhhingthe effectiveness of several neck and back chronic pain treatments, when compared to physical therapy and general practitioner counseling (education, counseling,and medication), chiropractic turned out to be by far the most effective, and overall the least expensive method. Besides chronic neck and back pain, chiropractic is really effective in reducing the problem of chronic headaches. This type of pain is not only harmful to our overall health condition but for our psychological state and our social relations, thus affecting the quality of our life. Chronic headaches can be caused by various factors, such as bad posture, head positioning or curvature of the spine which causes tightening of the back muscles and creating knots which in turn cause frequent headaches. Chiropractic treatment addresses exactly the root causes of the problem and that’s why it’s so efficient. It helps reduce the frequency, duration,and intensity of headaches. Maybe you are wondering how come spinal manipulation can influence your immune system. 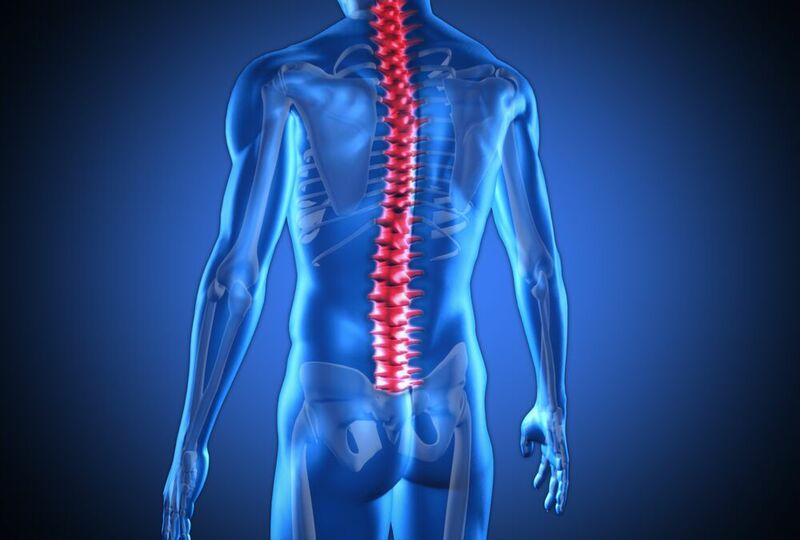 Actually, the general condition of your spine influences far more things in your organism than you can imagine. Namely, it is the center of your nervous system, and your nervous system is of crucial importance for the functioning of and communication with your immune system. In this way,your immune system can help your body heal itself. By keeping your spine healthy, chiropractic treatment makes sure this communication is unobstructed so your immune system can start fight infections or any other diseases in a timely and most efficient way. Chiropractic can also help reduce stress which is another serious threat to both our nervous and immune system. By doing, this method again helps us stimulate and strengthen both of these systems, improving our overall health condition. Since this treatment boosts our immune system, it is an excellent way of prevention, helping our organism to defend itself against various diseases. It is also effective when it comes to diseases which cause and are caused by very serious immune system weakening, including cancer, exactly because it helps the whole organism to become stronger and healthier. Different studies have shown that chiropractic treatment has a great positive effect on blood pressure normalization, giving the same improvement as two often prescribed medications for blood pressure regulation when used combined. Regardless whether it is low blood pressure or hypertension they are suffering from, both groups of patients have experienced serious improvements, reaching normal blood pressure after chiropractic sessions. What’s more, this type of treatment positively influences both systolic and diastolic pressure. It is still not completely clear how exactly chiropractic impacts the high blood pressure, but some researches indicate that the focus on the top of the neck bone or on Atlas help with blood pressure regulation. This is most probably due to the fact it is very close to the brain stem. Thus, another important effect of the chiropractic adjustment is a reduction of medication dependency when it comes to the widely spread disease of hypertension, and in general when it comes to some other type of conditions, including the previously mention chronic pain. This is only a glimpse of the numerous health benefits of chiropractic adjustment, others including relieving asthma and respiratory allergies, facilitating the period of pregnancy for women, helping with learning and behavioral disabilities and many more.